Floyd Mayweather’s feud with Justin Bieber is heating up, and according to a new report from TMZ, Mayweather now considers Bieber one of his ‘mortal enemies’. Think he’s overreacting? 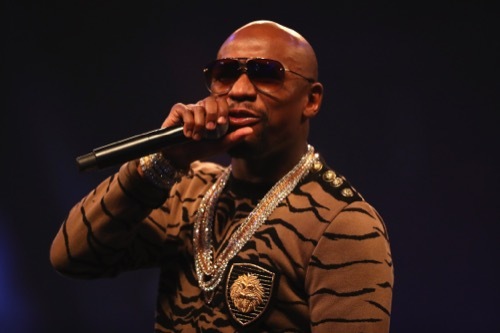 Well, in today’s day and age, social media snubs are considered one of the worst insults you can lob at an ex-friend, and Floyd Mayweather isn’t exactly known for his calm demeanor and attitude. TMZ explains that Justin has been getting mentored for months by the people at Hillsong Church in his attempt to rehabilitate, and they’ve been trying to get Justin to cut away the negative influences in his life, including ‘friends’ like Floyd Mayweather. Apparently, Justin wasn’t trying to break up with Floyd completely, just ‘reset boundaries’ – but to someone like Floyd Mayweather, that looks like a breakup. Apparently, one of the things that Justin was trying to cut himself off from was Floyd’s ‘obsession with strip clubs’, and as part of the ‘resetting boundaries’ regime, Justin also unfollowed Floyd on Instagram. Again, unfollowing someone on Instagram has become the mark of a major feud these days, and it’s almost easy to gauge who is feuding with who just by following celebrities’ Instagram and Twitter accounts. Of course, Floyd did not take Justin’s unfollow well, and TMZ’s sources claim that he went ‘insane, nuclear’. He reportedly starting referring to Justin as a ‘traitor’ because while he stuck with Justin during his infamous meltdown, it was apparent that Justin wasn’t returning the favor. Given a few days to calm down, apparently Floyd Mayweather continues to be ‘incensed’ at Justin Bieber, and no amount of time apart is helping the situation. It’s fair to see that we likely won’t see Justin Bieber at the Floyd Mayweather/Conor McGregor fight next Saturday, and if anything, don’t be surprised if you actually see Floyd refer to the feud publicly over the next few days. Floyd’s previous feuds and public spats have never showcased the best sides of him, and it’s obvious that he doesn’t see himself as a negative influence, despite his affinity towards strip clubs and his partying ways. What do you guys think about Floyd Mayweather’s feud with Justin Bieber? Do you think Floyd has a right to be ‘incensed’ at Justin for setting boundaries between them, especially when in Floyd’s view, he has been nothing but a loyal friend to Justin? And do you think Justin will show up at Floyd’s fight with Conor McGregor next weekend, or will he stay away? Let us know your thoughts in the comments below.